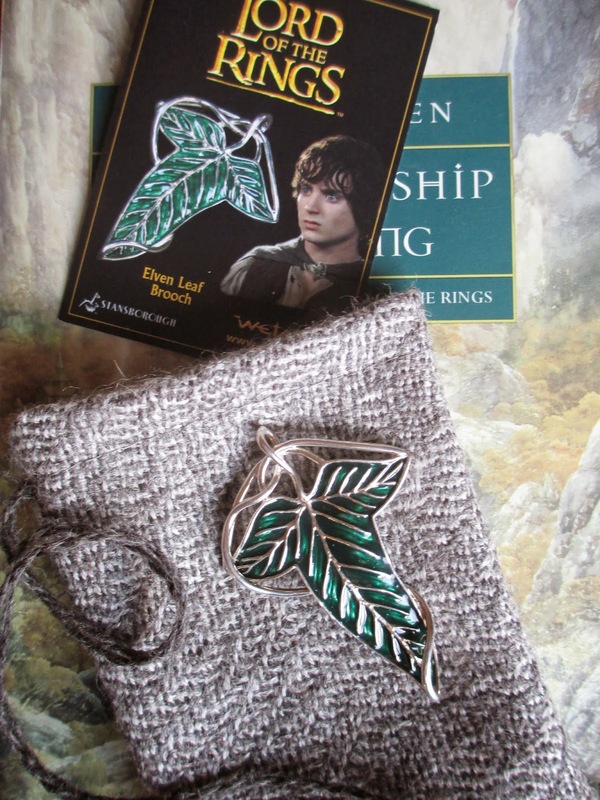 1) The Lord of the Rings Elven Leaf Brooch - Do you know for how long I've been fascinated with leaf jewelry because of this brooch? Do you know for how long the idea of having the actual piece from Weta was simply a fantasy? 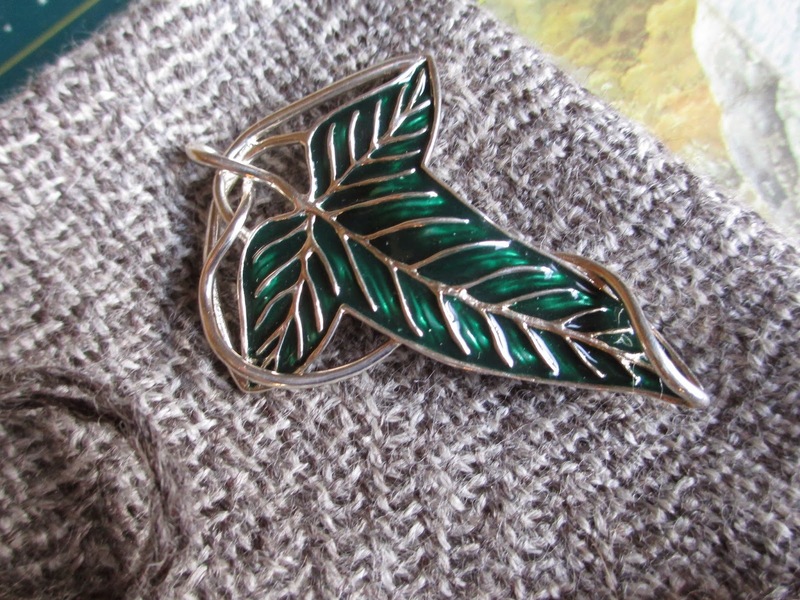 At long, long last, I have this beautiful brooch in my possession, complete with its little bag made of the same wool material as the cloaks in the movie. Although, naturally, I prefer the brooch as a pin, it comes with a silver chain so that you can also wear it as a necklace--which does make it easier to wear more often. 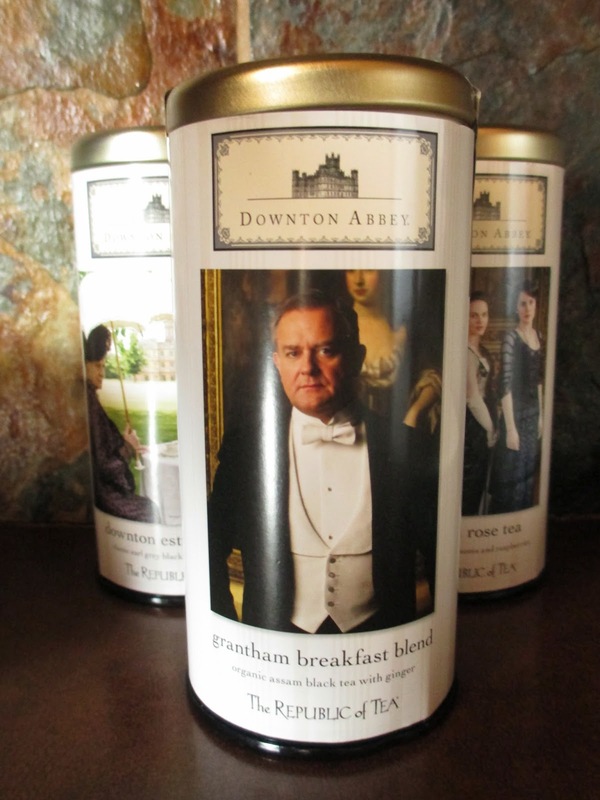 2) Grantham Breakfast Blend Tea - It isn't that I'm obsessed with Downton Abbey; it's just that, once I started collecting the show's teas, I couldn't stop. My latest addition is a blend of black tea and ginger. The label suggests adding milk, and I do find that I like it better with a splash of almond to mellow out the ginger some. I do, however, generally like it more as an afternoon or mid-morning tea than as a breakfast one. 3) Bracelets - Now that Spring is here and I'm in short sleeves much of the time, I'm trying to remember to adorn my wrists. 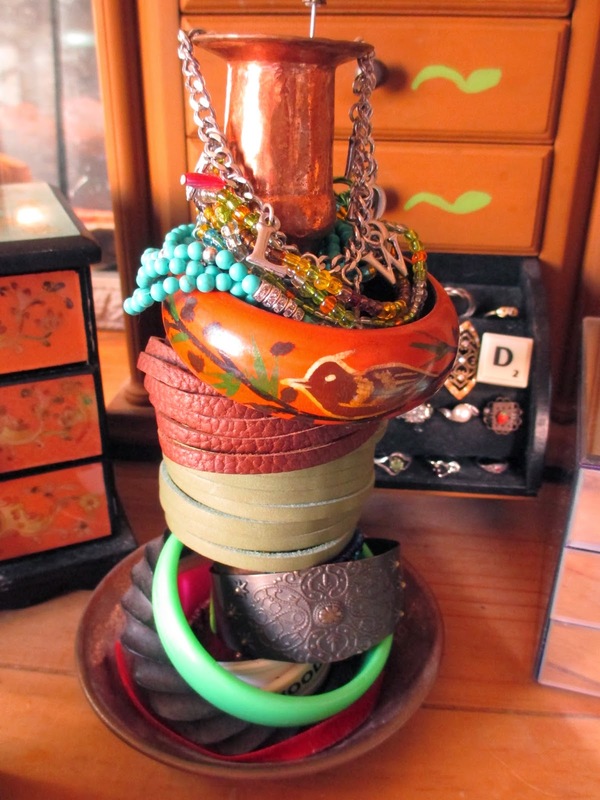 My handy bracelet holder is an old copper candlestick I didn't have any other use for. You can see some of my beaded bracelets, green and brown leather, wooden, and the Hillywood Show one on top. 4) Doctor Who - I shouldn't be allowed to investigate anymore franchises. I really shouldn't. I don't know how much more capacity I have: every time I get into something, I have to really get into it. I made my way through the new seasons; now I'm on the classic episodes. 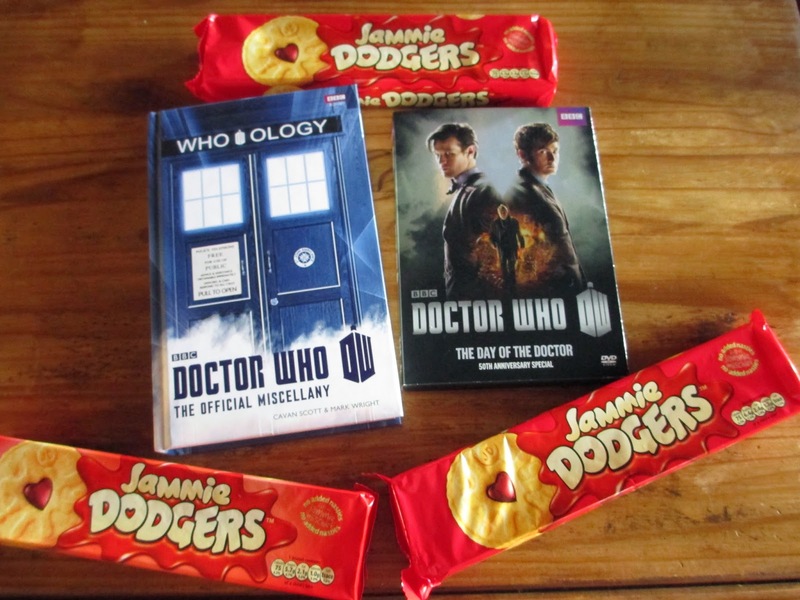 I seem to have acquired two books, one DVD, and too many packs of Jammie Dodgers (I had never even heard of these before, then I saw them at World Market just at the time when I was watching Matt Smith's doctor bring them into the script at every turn). 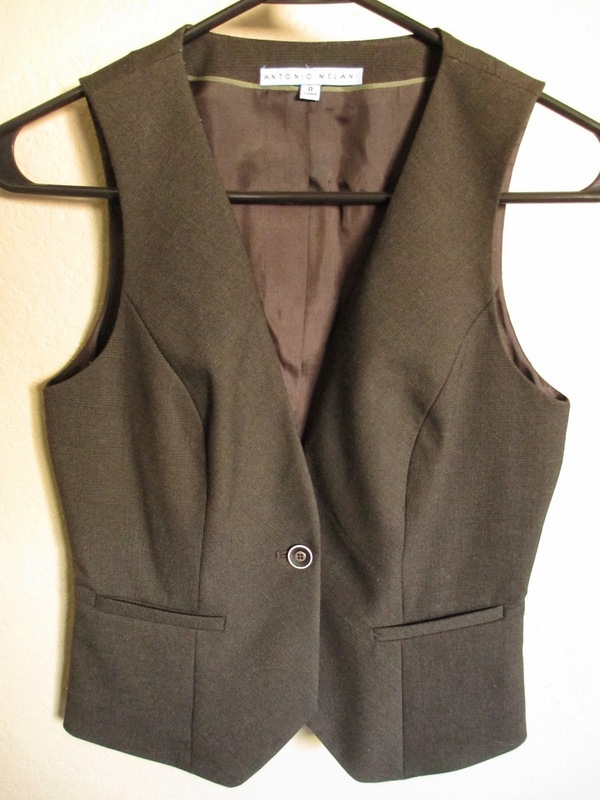 5) Antonio Melani Vest - I wear a vest now. Vests are cool. No, you know I've liked vests for a long time; it's just that the vest I have, while it's the best I was able to find for a long time, has a looser fit than what I ideally wanted (probably because it's a size big). So imagine my joy at casually finding a size 0, black, Antonio Melani vest on the sale rack. Perfection. Side note: I am always amused that my two favorite Dillard's brands are Antonio Melani and Chelsea & Violent (M.S.S.P is also good)--and I frequently wear them together. I've worn this vest, for instance, over my green lace dress. 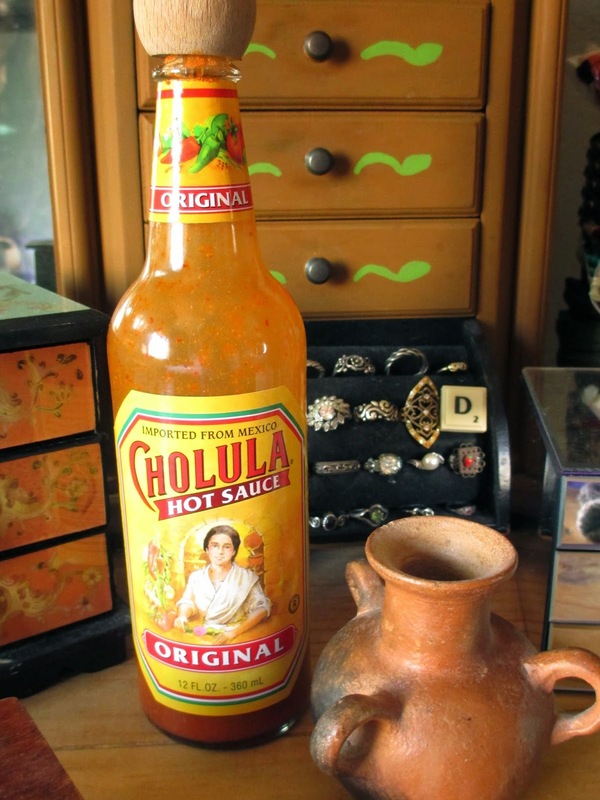 6) Cholula Hot Sauce - There was a time when I was eating tortilla chips and hot sauce every day. I would just crave the flavors and never want to stop; it was good snacking for moving through classwork. Now I have rediscovered why this hot sauce was my favorite. Valentino and Tabasco and everything else, they just don't taste the same. To each their own. 7) Antonio Melani Flip-Flops - I've resigned myself to getting a new pair of medium-quality, plain sandals for daily use during the warmer months (aka. about half the year). 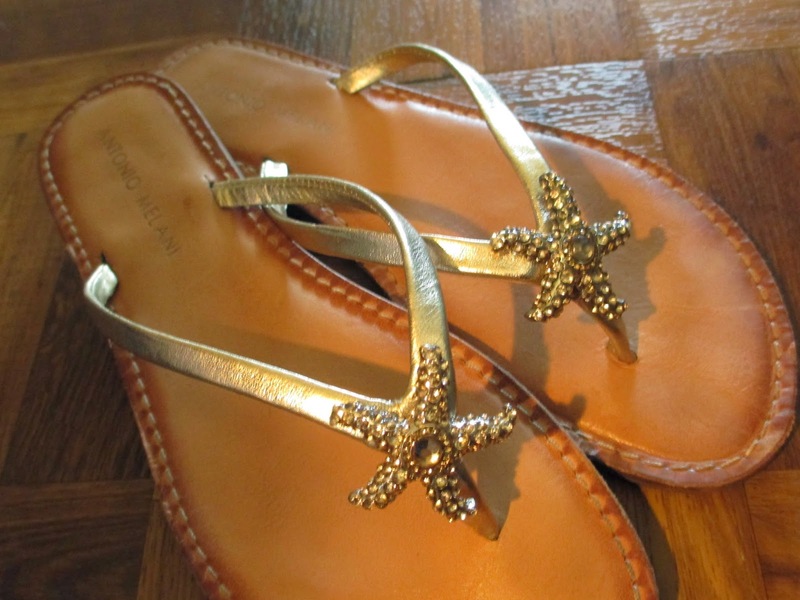 Starfish aren't my favorite, but the gold color is neutral and I found these on sale a few months ago when last summer was winding down, so they work. 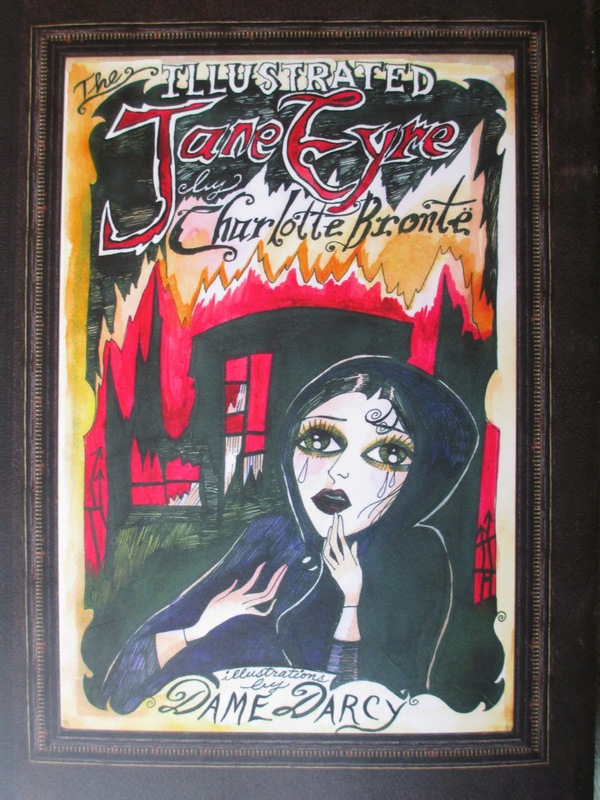 8) The Illustrated Jane Eyre - I stalked this copy of one of my two favorite books (the other being The Lord of the Rings, of course) for a while, trying to decide whether or not I liked Dame Darcy's illustrations. Now I suppose I've decided that I find their gothic turbulence compelling and partially fascinating, whether or not I like the style. You don't have to know whether or not you like something to like looking at it, right? And it had been a while since I'd picked up another edition of Jane Eyre. 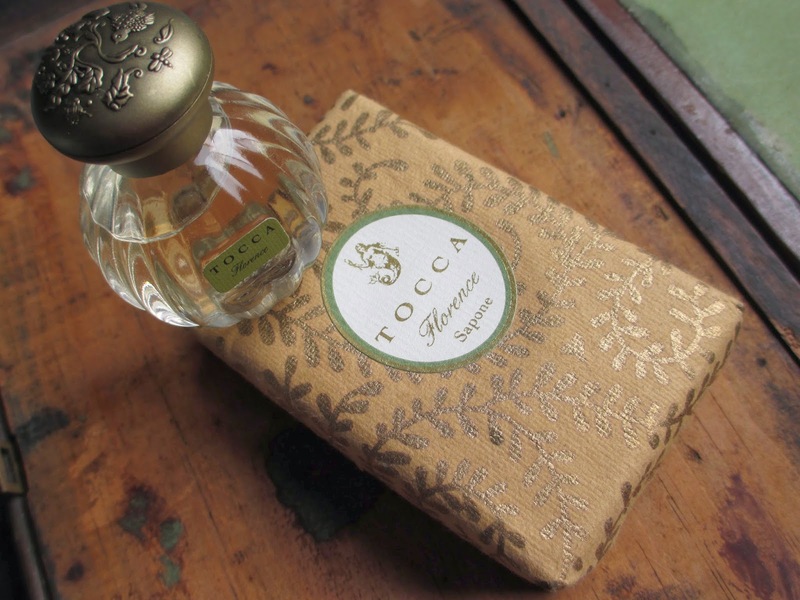 9) Tocca Florence Soap - Since Florence is my choice of Tocca perfumes, I also ended up with the Tocca Florence soap at some point. Its leafy, golden wrapping is beautiful, as is the mermaid design on the soap mold. While the scent is more perfumey than the perfume itself, the soap is so silky soft and smooth that I think I do forgive it. 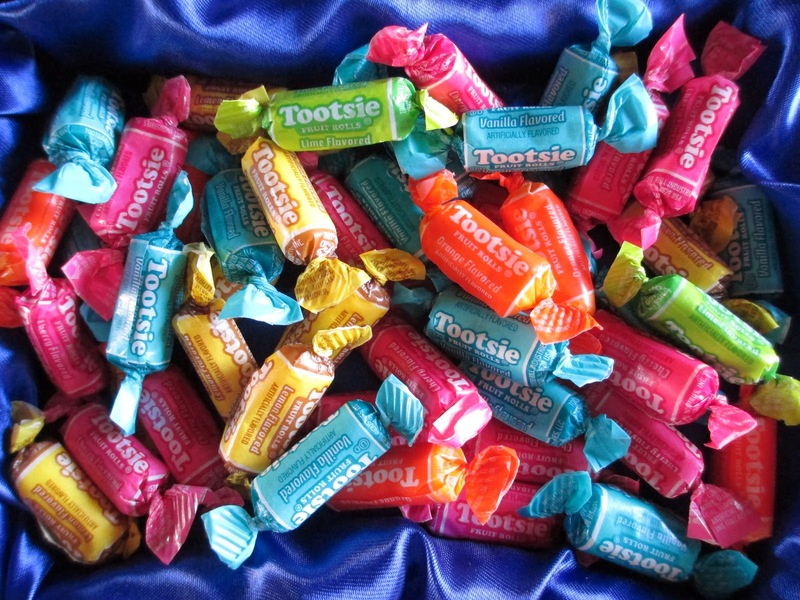 10) Tootsie Fruit Rolls - I turned away from these in the Christmas aisle a couple months ago, so I couldn't resist them again among the Easter candies. You don't usually see the fruit version of Tootsie Rolls, and yet I find them such an interesting candy. Vanilla is the best flavor, then cherry. Even orange, lime, and lemon are nice. They all have the perfect blend of artificial flavorings that they just taste like whimsy and nostalgia. These and Smarties are like the best candies ever. I'm so strange.